translated by Michael J. Miller and others. B&H Publishing Group (Nashville, Tennessee, 2018). Christians tend to agree broadly today that valuable roles await them in political matters, which so greatly affect all citizens’ lives. Yet the chaos and antagonism common in the universe of the political turn many away. Another 2018 book underscoring Christian concerns in the political sphere is “Letters to an American Christian” by Bruce Riley Ashford, provost and a professor of theology and culture at Southeastern Baptist Theological Seminary in Wake Forest, North Carolina. 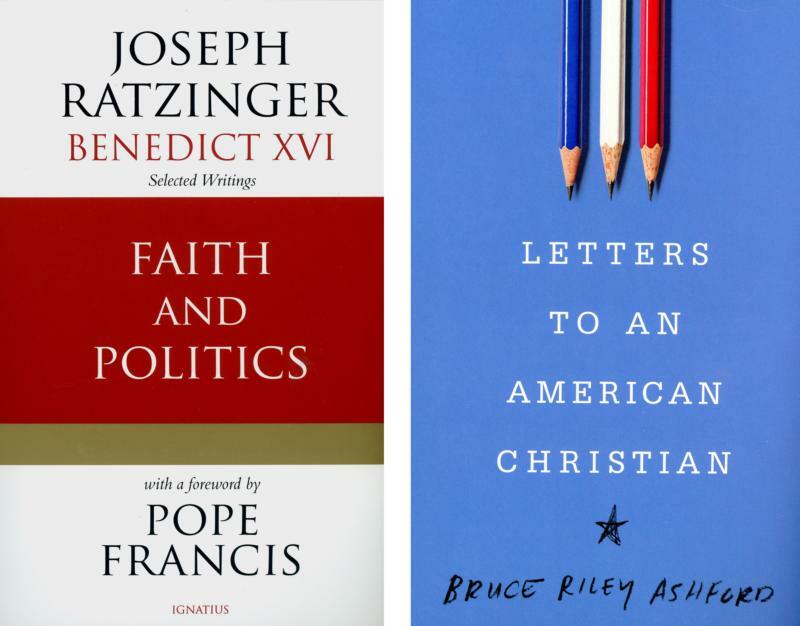 These books by Pope Benedict and Ashford illustrate contrasting ways of approaching the relationship of faith and politics. One approach highlights the underlying convictions and theological, philosophical and social considerations that commonly shape Christian thinking here. The other accents the so-called “hot-button” issues dominating political discourse at any given moment. It seems virtually impossible to adopt one approach to the other’s exclusion. For Christian political action always calls basic faith convictions into play, and politics always is about “something.” It is possible, though, to devote greater attention to one approach than the other. Unsurprisingly, Pope Benedict aims to clarify underlying principles basic to Christian action in the political realm. “‘Bearing witness to the truth’ means giving priority to God and to his will over against the interests of the world and its powers,” he observes in discussing truth’s central importance. Ashford devotes his book’s second part to “A Christian View on Hot-Button Issues.” But this does not mean he avoids basic principles that anchor Christian political thinking. His book deals, he explains, “with the interface of religion and politics in general or religion and hot-button policy issues in specific.” Many readers will welcome his discussions of issues such as racism, nationalism, gun legislation, abortion, the environment, political correctness, immigration or civility, since such issues assume so prominent a place in today’s news. Civility, Ashford explains, “includes listening to our opponents’ arguments not merely to counter them but also to understand.” Civility is “the ability to resist our worst impulses” and “live peaceably” with others. In society’s current age of polarization, faith and politics may be a uniquely important topic. Perhaps these books can enable readers to consider thoughtfully what they want to achieve in the political universe and how.